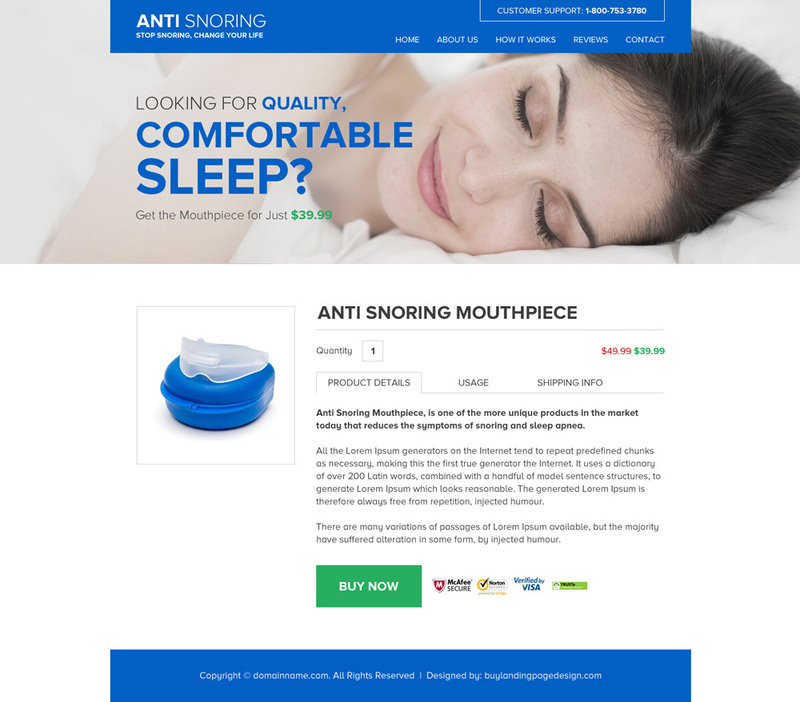 Apply the coupon code on the shopping cart page and get instant 15% discount. 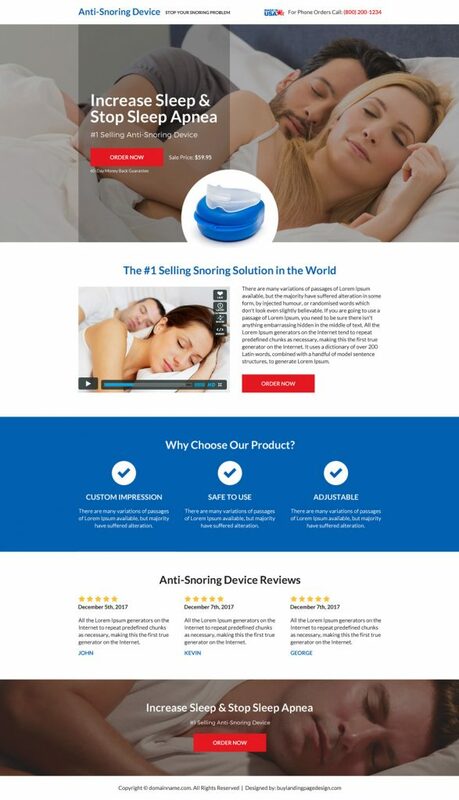 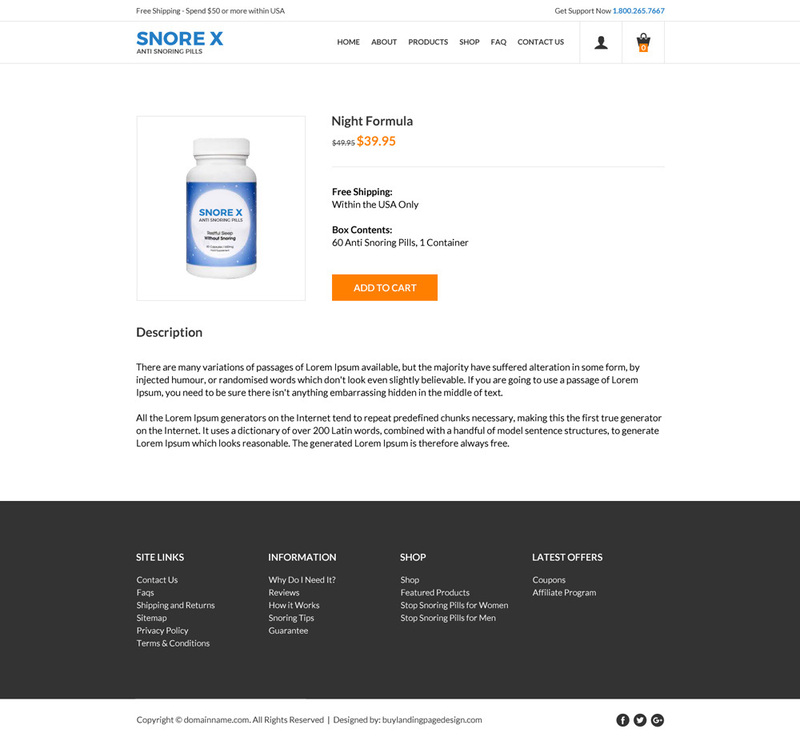 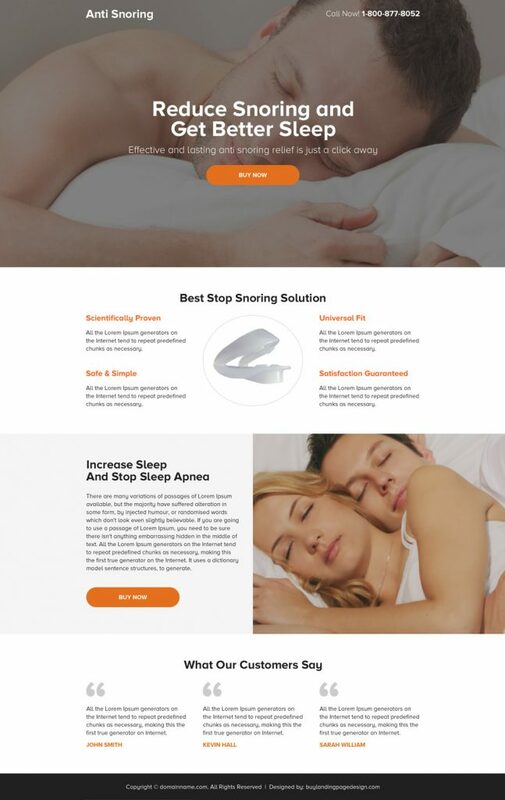 You can also order a custom anti snoring landing page and get it designed by our creative and experienced designers at a very affordable price. 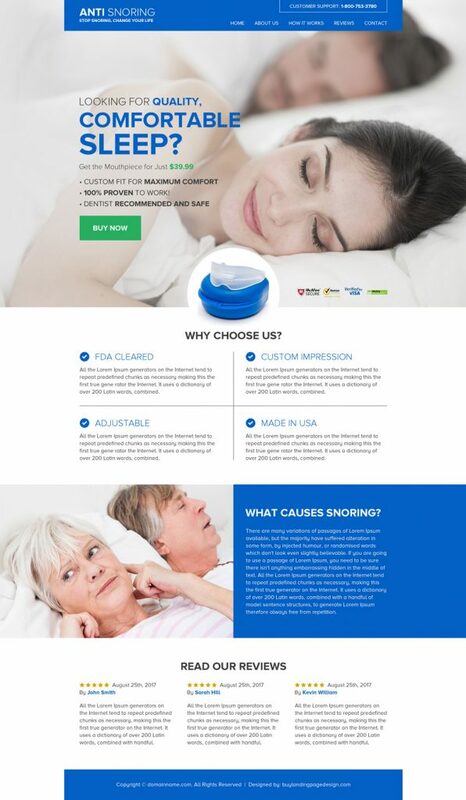 Get in touch with us along with your requirements.